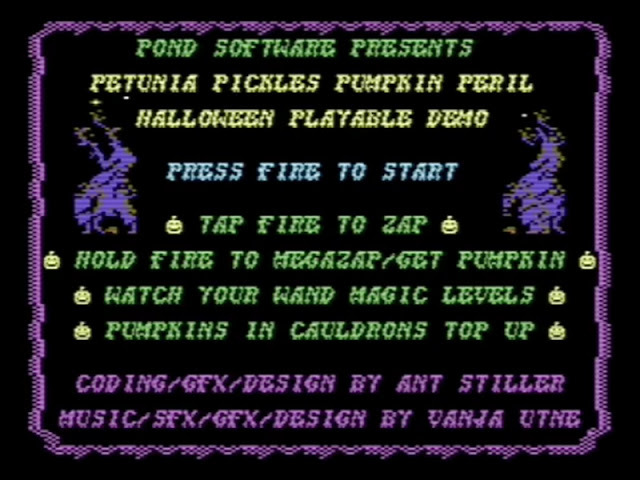 Indie Retro News: Petunia Pickles Pumpkin Peril - A Halloween C64 game coming from Pond Software! 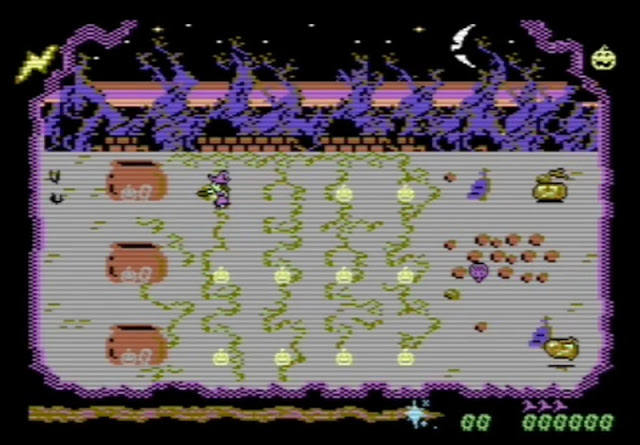 Petunia Pickles Pumpkin Peril - A Halloween C64 game coming from Pond Software! Pond Software are certainly no strangers to the C64 community, especially with their very popular game The Bear Essentials having been released and liked by many. But this new game isn't going all cute and cuddly as not only will it involve lots of pumpkins, witches and bats, but it's going to be a Halloween playable demo and is going to be called ' Petunia Pickles Pumpkin Peril ' for the C64! This latest game which can be viewed in the above tweet, is going to be developed by both Ant Stiller and Vanja Utne via Pond Software. In the game you play as Petunia Pickles and must zap enemies with your mighty wand, that can be powered up as just a zap or if you hold fire for a period of time, a megazap! Just be aware you will need to keep an eye on your magic levels while zapping everything as it will need to be topped up with a grown pumpkin or two into a mighty cauldron!